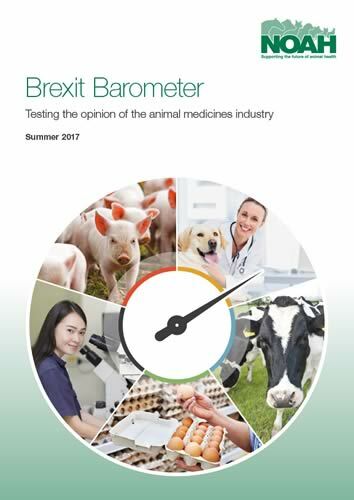 NOAH’s inaugural Brexit Barometer report has revealed that optimism and uncertainty are vying for position on the future of the animal medicines industry in the UK. The report will be repeated to track shifting sentiment as the Brexit process unfolds. Attendees examined the exit from the EU and its impact on the industry through six different lenses; animal health and welfare, public health and food production, trade and investment, R&D and innovation, bringing new products to market and post-licensing controls for the overall market. In a follow-up poll conducted as part of NOAH’s Members’ Day at ZSL Regents Park in June, delegates revealed almost-identical opinions, suggesting that the shock General Election outcome and continuing climate of political uncertainty has not changed views. Alongside tracking sentiment, the report sets out a series of specific opportunities for each of the six topic areas, outlining what the industry and its stakeholders require from Government to realise each of these. NOAH will be working closely with its members and stakeholders to communicate and address this feedback in the coming months. “When we set up our Brexit Taskforce in 2016, our priority was to ensure we continue to support and champion a vibrant and innovative animal health market, supporting UK farming and pet ownership, in which our members can thrive. Although we’re delighted to see that there is a degree of optimism among our diverse audiences, we are very conscious of the need to translate the largest proportion (40%) of undecided respondents into positive sentiment to enable us to capitalise on Brexit despite the uncertain political climate.